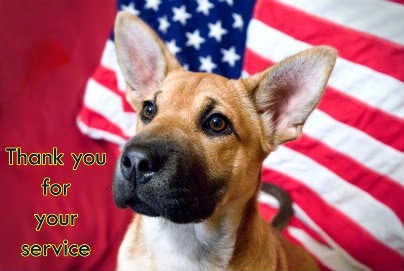 The Sheep Whisperer: MEMORIAL DAY TRIBUTE! 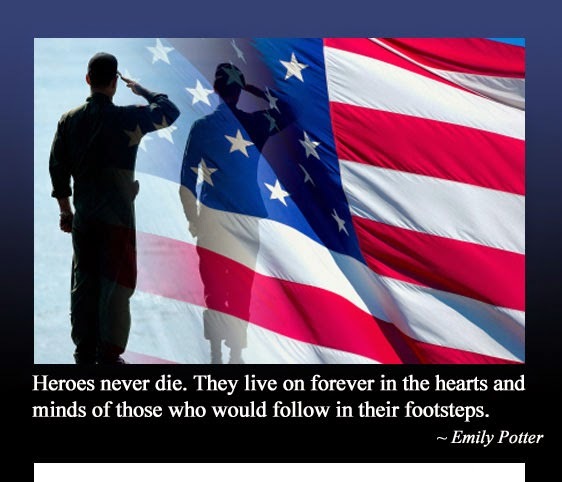 It's Memorial Day Weekend, & I thought I would create a Blog to Honor all Veterans who made the ultimate sacrifice. 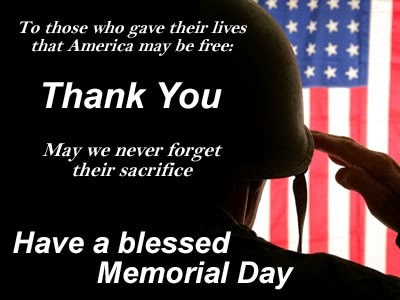 Join with me in celebrating the lives of all those serviceman, who laid it all "on the line" to serve & protect us! God Bless Ewe & Ewer families! Ewe can't give any more than Ewer Life! 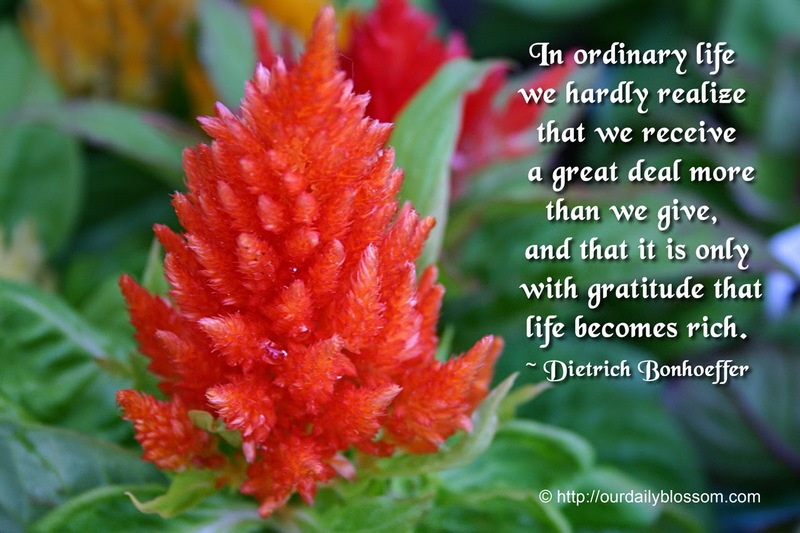 An "Attitude of Gratitude" is always in style! Thank Ewe for the sacrifices that EWE made for us! The history of Memorial Day dates all the way back to three years after the Civil War! On May 5,1868, the head of an organization of Union veterans-The Grand Army of the Republic (GAR),-established "Decoration Day", as a time for our nation to decorate the graves of our war dead with flowers. Major General John A. Logan declared May 30th, as the official date to observe "Decoration Day"! It is believed that the reason for that date being chosen was because flowers would be in bloom across the country. 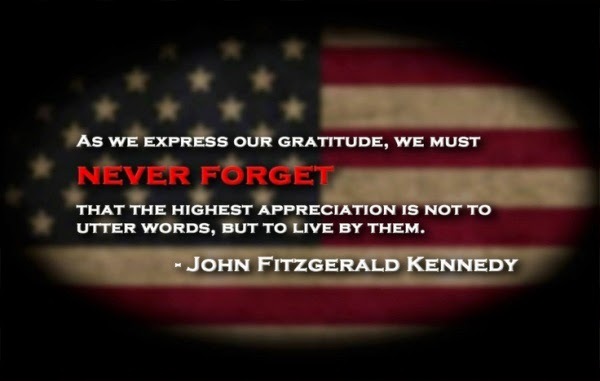 Take a moment to Remember! Arlington National Cemetery, across the Potomac River from Washington D.C.,was the location of the first large observance that was held in May, of the year 1868. Presiding over the ceremonies that day was Ulysses S. Grant. After speeches, children from the Soldier's & Sailor's Orphan's Home, & members of the GAR, strewed flowers over both Union & Confederate graves, singing hymns, & saying prayers. Many states dispute over which was the first to observe this practice of honoring their war dead. One of the earliest of these observances occurred April 26, 1866, where a group of woman decorated the graves of the fallen soldiers from the Battle of Shiloh with flowers. Our hearts help us to Remember! declared Waterloo, N. Y., as the official "birthplace" of Memorial Day! A ceremony took place there on May 5, 1866, that honored Civil War dead, by closing businesses ,& flying flags at half-staff. 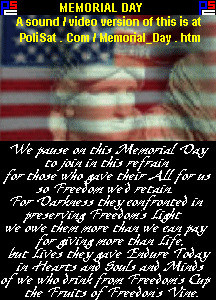 By the end of the 19th century, Memorial Day ceremonies were being held on May 30th, across the nation. 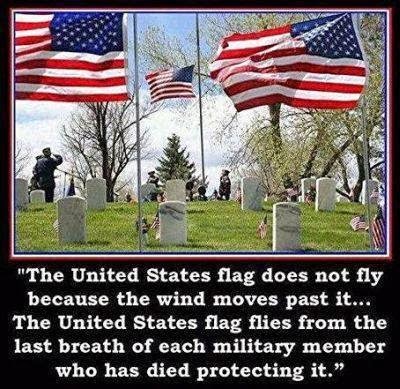 It was not until after World War 1, however, that they decided to honor all those who have died in all American wars!
" 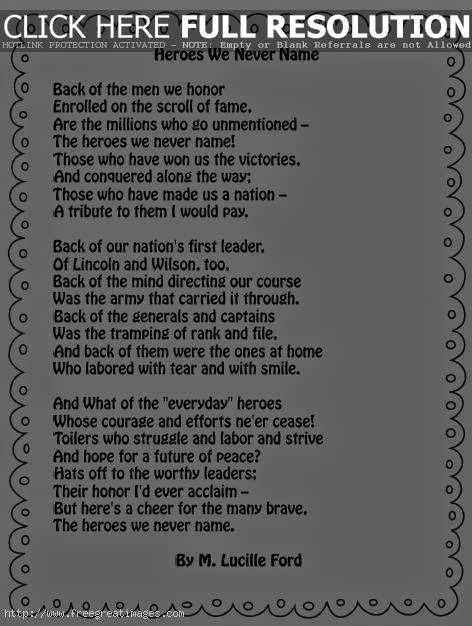 The greatest leader will be the servant of all..."
"Be strong & courageous, do not tremble or be afraid, for the Lord God is with thee..."
In 1971, Congress officially declared Memorial Day, formerly referred to as Decoration Day, as a national holiday, to be observed on the last Monday in May. 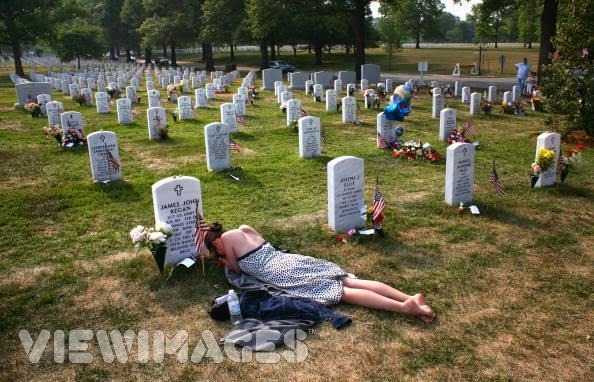 Also, in the year 2000, to ensure that the memories of the fallen heroes are never forgotten, Congress passed "The National Moment of Remembrance Act",P.L.106-579, creating a White House Commission on the "National Moment of Remembrance". 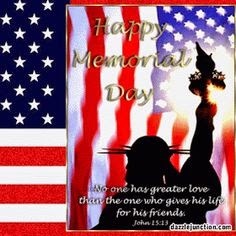 The Commission's charter was to " encourage the people of the U.S. to give something back to their country, which provides them so much freedom & opportunity", by encouraging & coordinating commemorations in the U.S. of Memorial Day & the National Moment of Remembrance. 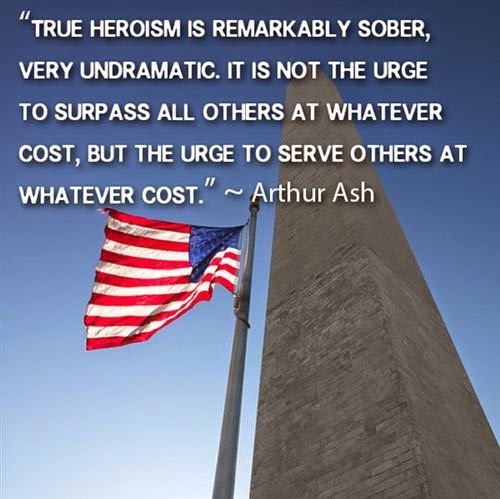 "When my heart is overwhelmed, lead me to the Rock that is higher than I"
We Salute our Heroes & Thank God for EWE!! 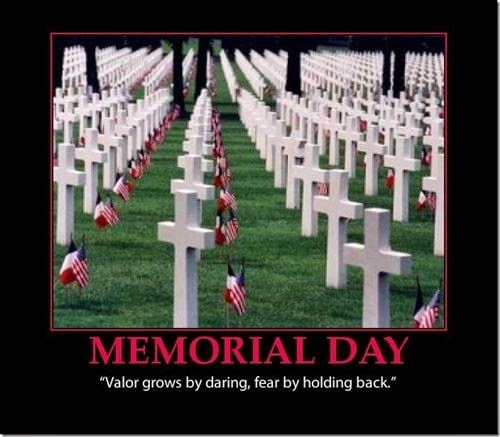 When Gen. Logan first ordered his troops to decorate their graves "with the choicest flowers of springtime", he urged “ We should guard their graves with sacred vigilance. ... Let pleasant paths invite the coming and going of reverent visitors and fond mourners. Let no neglect, no ravages of time, testify to the present or to the coming generations that we have forgotten as a people the cost of a free and undivided republic.” Following, about 5000 people placed small American flags on each grave, which became a tradition which is still practiced today. 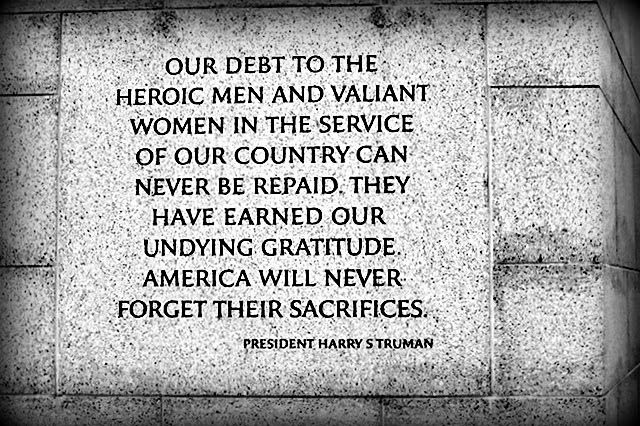 The National Moment of Remembrance encourages all Americans to pause at 3 P.M. on Memorial Day , for a minute of silence to remember & honor those who have died in service to their country. Moment of Remembrance founder Carmella LaSpada explains: “It’s a way we can all help put the memorial back in Memorial Day."